James H. Stronge is the Heritage Professor in the Educational Policy, Planning, and Leadership area at the College of William and Mary in Williamsburg, Va.
His research interests include policy and practice related to teacher quality and teacher and administrator evaluation. 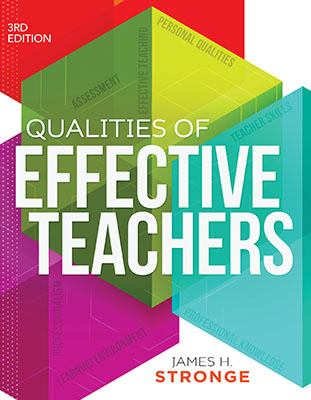 His work on teacher quality focuses on how to identify effective teachers and how to enhance teacher effectiveness. Additionally, Stronge has worked extensively with local school districts on issues related to teacher quality, teacher selection, and teacher and administrator evaluation. He has authored, coauthored, or edited 22 books and more than 100 articles, chapters, and technical reports. Stronge has been a teacher, counselor, and district-level administrator. His doctorate in the area of Educational Administration and Planning is from the University of Alabama. This updated edition is packed with research-based advice and practical tools for any educator interested in improving teaching and ensuring positive outcomes for all students.